As a leading supplier of slicing systems to the food industry, you’d expect us to extol the virtues of ultrasonic cutting technology over conventional slicing systems. But what guidance can you expect to receive from suppliers on how to successfully cut your product? Here’s Newtech’s quick and easy guide to what you need to know. Some deep-frozen products tend not to be suitable for ultrasonic cutting, as it doesn’t lend itself readily to the resistance of cold, hard products. 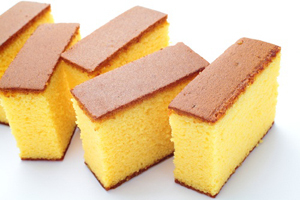 That said, some products, such as a light sponge cake, can be cut at temperatures as low as -18 degrees. While other products, cheesecake being one of them, cut best when slightly frozen. Generally, the less dense the food, the easier it is to cut at low temperatures. Most can be readily cut at chilled or ambient temperature using an ultrasonic blade. As part of the service, Newtech will always conduct cutting trials in order to establish the most suitable cutting temperature and ultrasonic frequency in order to achieve the best quality cut for your product. We can cut most products, and due to the ultrasonic vibrations this is effectively achieved with minimal product sticking to the blade. Sometimes, albeit rarely, sticking can be a problem if a product has a very high sugar or treacle content. Our robo range of machines are fitted with cleaning jets and drying functionality as standard, which allow for cleaning of the blade whenever it is required. Most tray cake products produce excellent cutting results with ultrasonic blades, including flapjacks, sponge cakes, brownies, rocky road and millionaires’ shortbread. Round cakes and tarts are processed very well, as are quiches and pizza on the savoury side. Loaf cakes produce very good results. 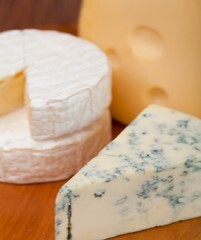 From soft cheeses such as Brie and goats cheese through to Parmesan. Blended cheeses with additives such as fruit and nuts cannot be effectively cut with wires, and increasingly ultrasonic cutting is standard. When coupled with specialist automated machinery, both great cut quality and fixed weight portioning is possible. However, care needs to be taken with fatty meat fillings such as Italian meats – although special cutting techniques can still get good results. Very fresh bread can occasionally present challenges, but again, careful choice of the blade profile and amplitude can overcome most issues. Raw meat, fat and sinew is too much of a challenge for the vibrating blade. We leave this to the high speed and very sharp mechanical slicers. 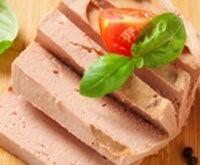 But if you need to accurately cut your processed meat, or pâté, then look no further than ultrasonic slicing systems. In summary, ultrasonic cutting is suitable for a huge range of products, with a few exceptions and caveats along the way. Want to explore if it will work for your product? Get in touch with Newtech and we can advise you, and do some test cutting. If you don’t try it, you’ll never know! Email us today at sales@newtech-ltd.co.uk, or give us a call on +44(0) 1234 783 680.